The origins of the A46 and its descendants, the FV300 family, began in the middle of 1943 during the Second World War. At this point, the United Kingdom and the United States discussed that for a while at least, the US would provide enough tanks and war materials so that the UK could begin to scale back its industrial output that had been operating in high gear since the retreat from France and concentrate on new industrial capacity. The UK, whilst seeing the attractiveness of such an offer in the short term, did not want to be indebted more than it was to the US after having grudgingly been compelled to share all of its indigenous technology so far. The thought of being further chained to its creditors was not something the UK wanted. It’s also worth noting that the US believed the UK would lose to Germany early in the war and, as such, regarding payments of Lend Lease, they did not want payments in pound sterling. UK gold reserves and the liquidation of British assets in America had, instead, to be sold to the US at a fraction of their value industry. The final debt would be US$1.2 trillion to be repaid finally in 2006. The UK had decided that further reliance on US technology and control was unacceptable both from a sense of fiscal foresight and partly out of a wounded sense of national pride. Britain, therefore, proceeded to build and develop light and medium tanks of its own. Whilst many of American Lend-Lease tanks were adequate, the UK also desired to adjust the balance in its own forces and sense of self-dependence by producing its own light tanks to replace the American M3/M5 light tanks in service. The War Office settled on designing the next generation of light tanks, the platform chosen was to be based on the A17 Tetrarch and A25 Harry Hopkins light tanks that were in service, notably reusing their unusual steering systems. This required any steering to be done by curving the track via a steering wheel along with additional skid steering using Girling internal expanding brakes that could be used for sharp turns. The whole suspension was carried on four bulbous independently sprung wheels on each side. The ‘Tetrarch’ or ‘Light Tank Mk VII A17’ had been produced by Vickers-Armstrong in the late 1930s and saw limited action in WW2. Armed with a 2 pounder (40 mm) gun and only lightly armored, its overall career was unremarkable but it saw limited service with the UK and Soviet forces and smaller trials in Switzerland. 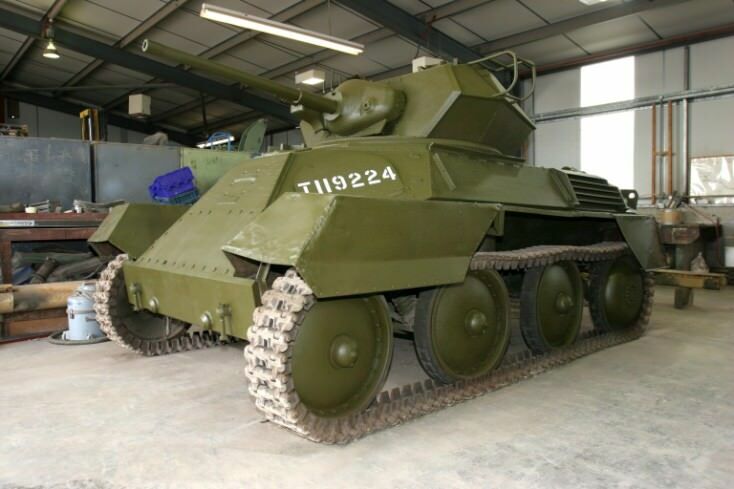 The second tank, Light, Mk VIII, A25 also known as the ‘Harry Hopkins’ after President Roosevelt’s chief diplomatic advisor, was a later design also built by Vickers-Armstrong in 1941 and used many of the lessons gained in developing the A17’s. The A25 did not fare much better. 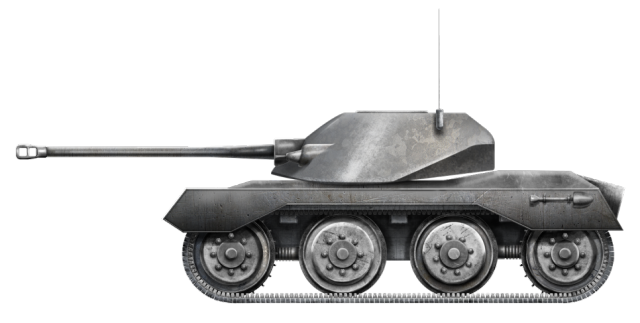 During the early design phase, the light tank concept was out of favor due to the losses in France the prior year and ongoing problems with the vehicle’s development which led to large delays. By 1943, only six A25s had been produced and the UK was now equipped with the American M3/M5. Once the order in 1943 came through for a late war/post-war light tank to be developed, Vickers quickly picked up the contract, as, although its previous light tanks had not been a combat successes, they did employ one of the essential criteria listed; namely to employ a steering system that required little power such as that found on the A17 and A25. Vickers must have been laughing all the way to the bank with that contract. The official reason for wishing to reuse this steering system stemmed from the fact it required a smaller engine and lighter transmission over conventional ones. Thus, a smaller frame could be built, which was highly desirable in a light tank. This feature was particularly important for the A46, which was expected to be air portable without disassembly, although the ability to be easily dismantled prior to transport was included if required for long distance flights. Lessons from the Tetrarch and, to a lesser extent, the M3/M5 tanks had also been taken into consideration. Vickers decided they wanted a gun capable of being effective against other light and medium tanks yet have a useful High Explosive (HE) round and ideally share a commonality in parts or munitions with guns in service. The new vehicle was therefore to mount the 77mm QF gun which Vickers had been testing on the new A34 Comet medium tank. The new 77mm gun had been given the highest priority to A46 development initially, over that of even the Comet. Although debates were held at the Tank Board about this, where some saw the turretless Stuarts tanks fulfilling these roles while the UK was at war and felt instead that the 77mm should be prioritised for the Comet which should actually see combat. Two prototypes were to be designed, a version with a rear mounted engine and another with a forward mounted engine. 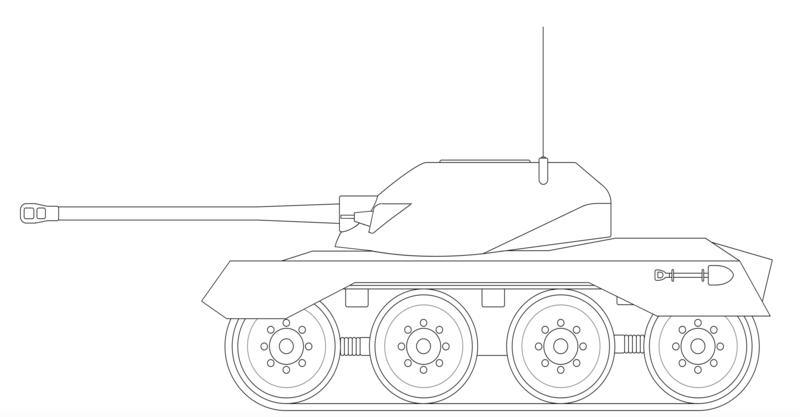 The gun tank type would initially have a rear engine whilst the load carriers and self-propelled guns would have front engines. Vickers happily agreed as it saw future growth in this system and it was one of the UK’s first modular designs that could allow the chassis to be reused for a variety of roles. 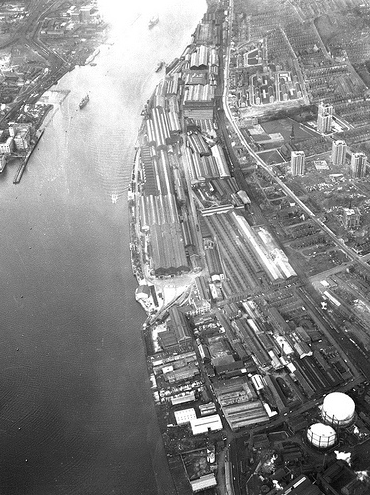 Although Vickers had not even presented any official plans, the War Office ordered 80 to be built in 1944. Fast forward to November 15th 1944, and the 44th meeting of the Tank Board took place. It is recorded in the minutes that a meeting had taken place at Chertsey on the 14th November to consider the paper proposals as requested for the light tank roles. Mr. Little explained the layouts were in the same building and the board agreed to review them after the meeting was over. The next minutes held on 3rd January 1945 noted a mock-up of the gun tank would be ready by the end of the month for inspection and that no real issues had thus hindered the project. Production should have begun around mid-1946. It was noted during minutes that the light tank concept “looked extremely good and should appeal psychologically to the troops”. The 46th Tank Board minutes also give the first full description of the A46, or to use the Vickers codes; ‘M132’ and ‘M131’. The former had a front engine and the latter the rear mounted block. Vickers had managed to build one full-size mock-up gun tank before the war’s end, as well as a series of wooden display models. By late 1944, the War Office was looking at three new lines of tanks. These would consist of the A45 series, which would go on to become the FV200 heavy line, the A41 line based around the universal tank concept including Centurion, and the new Vickers light line. Each of these lines would have its own gun tanks, command, bridge layers and support vehicles. By 1946, a new threat began to loom on the horizon with American and Soviet clashes of ideology mounting. Europe was still in tatters but, with the Soviet threat looming, the British began a slow but steady rearmament program. The aim was to do away with much of the wartime stock and instead to focus on this series of standardised vehicles. Each class and category would come under a new Fighting Vehicles designation commonly referred to as an ‘FV’ number. These were detailed in the Fighting Vehicle Divisional notes 15, dated November 1946, where it was outlined how all vehicles were to be classified in categories between 1 to 19 with 00 as the basic platform and subsequent numbers to be sub-variants of this. For example, FV200 was to be a series of heavy vehicles with ’00’ the stock model, FV201 the gun tank etc. Each possible vehicle combination had been considered although the numbers would stretch far further than the original 19 and deviate over the years. A46 therefore has the dubious honor of being the last ‘A’ series number. With these FV numbers, a standard series of engines would also be introduced. 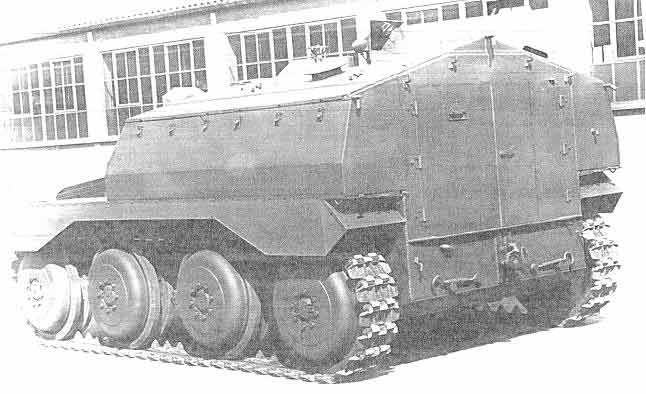 Heavy tracked vehicles were to have the 800 hp Meteor (fuel injected) engine, medium tracked vehicles the 350 bhp Meteorite and light tracked vehicles the B80 Rolls Royce. By 1947, A46 testing had switched to a front-engined arrangement and design progress was making steady headway. It was hoped that all vehicles developed from this would have the same layout. The engine and gearbox would be to the front right-hand side and connect to the rear drive sprocket via a centreline shaft. Vickers decided to add stowage bins to the back of the vehicle to increase ammo capacity and modified their drawing accordingly. It was realized that a three-man crew would have been too cramped for the long distance type of activity a light recon tank might have been required to carry out. As there was no compromise on the gun, Vickers passed it over to the Elswick department who began working on an autoloader for the 77mm gun. A46 did not go much further from this point. Work had begun on a full size mock-up, however. The design specifications had changed completely and the project had become an experimental fully enclosed APC named CT-26 that still retained the front mounted engine and track/suspension system from A46 but was otherwise its own project from now on. The requirement for a new light line would instead move over to a new family, the FV300 series. We are considering it, but it is not currently being worked on. When exactly did they come up with the idea for an APC variant of this thing? The APC idea was proposed at the same time, they wanted to have a family of vehicles on the same chassis. However, at one point, they abandoned the light tank and other members and focused only on the APC.